There is a moment when you go from simply having your pilot’s certificate to being a pilot. It’s a transition you feel in your gut, and once you’ve made a 230-horsepower climb in a Cessna® Skylane® there’s no going back. A reliable partner for surveillance missions, the Cessna Skylane provides a stable platform, customizable to meet your needs. Tactical Flight Officers control the mission from an adjustable operator station, and a range of airborne camera mounts are available for a tailored ISR solution. Choose the proven Skylane for your surveillance mission, built by the leader in special mission aircraft. 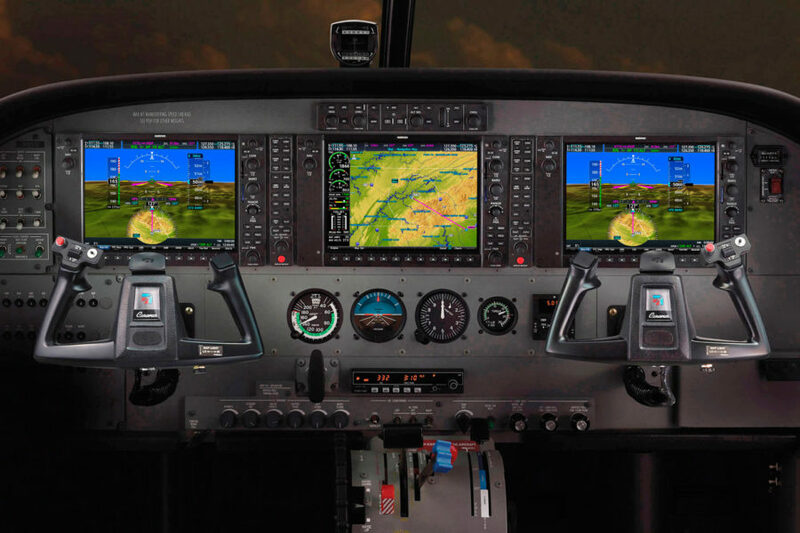 Take pilot training to the next level while maintaining low operating costs. The Cessna Skylane steps up the students’ experience with a 230-horsepower engine and enough range to practice long distance flights. Designed with comfort in mind, the ergonomic interior creates the ideal environment to keep the focus flying.